Save $1.00 on any two Ziploc brand bags! 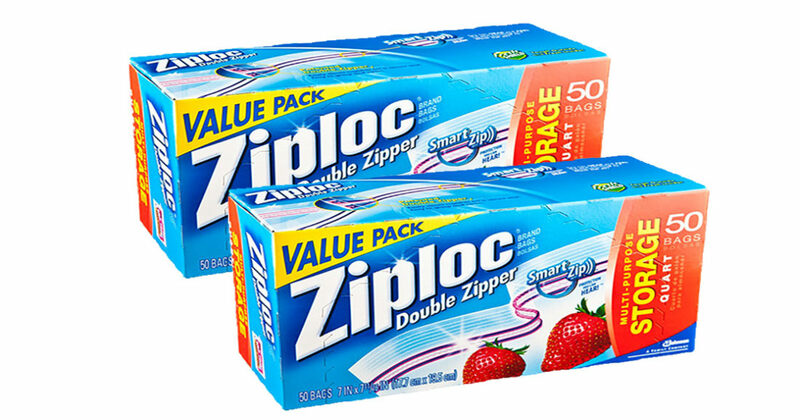 Ziploc Bags only $2.49 at Rite Aid when you buy 2 with coupon! Ziploc bags are on sale at Rite Aid for only $2.99. These include heavy-duty 15-gallon bags, which are useful for storing all kinds of things. This coupon will give $1 off when you buy two boxes, so you’ll end up paying only $2.49 for each box. Plus, the total cost of the boxes before the coupon — $5.98 — counts towards Rite Aid’s Rake in the Points event, which gives you 2000 Plenti Points (redeemable for $20) when you spend $50 in qualifying purchases. A great deal! Coupon expires 10/09/16. Rake in the Points event ends 9/24/16. Ziploc has all your food-storage needs covered, from your kids’ sandwiches to those strawberries you picked last weekend and want to freeze. Save $1.00 when you buy any two boxes of Ziploc brand bags. Offer expires 9/01/16.